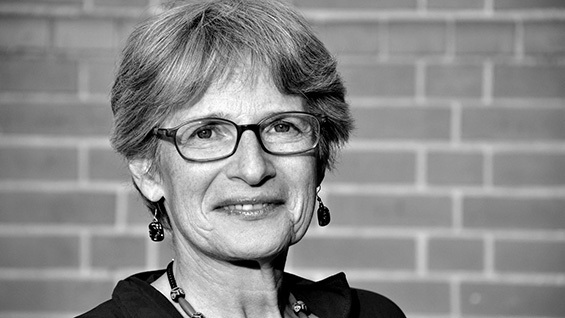 Professor Atina Grossmann of the Faculty of Humanities and Social Sciences has been named as a visiting fellow at the Shelby Cullom Davis Center for Historical Studies at Princeton University in the spring semester of 2015. During a busy time off from The Cooper Union, Prof. Grossmann will begin the 2014-2015 academic year teaching for a semester at Humboldt University in Berlin as the Walter Benjamin Visiting Professor in Jewish Studies. When she returns to the U.S. she will join a select group of six other Davis Center fellows working on projects related to the theme of "The Aftermath of Catastrophe." It is a subject that matches Prof. Grossmann's recent research on the story of Jewish refugees during the Second World War. Though she freely admits her current work does not follow directly from her academic training, she found herself obsessed with a lost history, eventually discovering an unexpected personal connection to it. "The extraordinary story that still has not been incorporated into the public memory of the Holocaust is that the great majority of the people we think of as survivors are East European Jews who escaped the ‘Final Solution,’ " Prof. Grossmann says. The project she will focus on at the Davis Center traces the movements of those, predominantly Polish, Jews who either found themselves in Soviet-occupied eastern Poland after the Nazi-Soviet Pact of August 1939 or who fled the Nazi assault on Western Poland in September 1939 and ended up “deported to life” in labor camps in Siberia and other remote areas of the Soviet Union. When the USSR was itself invaded in 1941, breaking the Nazi-Soviet alliance, an agreement with Polish Government in Exile freed the deportees. Many headed south into Central Asia, where they waited out the war, mostly ignorant of the Holocaust they escaped, according to Prof. Grossmann's research. "They endured hunger, disease, and traumatic displacement, but unlike the millions left behind in Nazi-occupied Europe were not subject to systematic extermination; they were given a chance to survive," she says. "The story I think I can tell is how their wartime experience becomes marginalized in the history of the Holocaust," says Prof. Grossmann, who has taught European history and gender studies at The Cooper Union since 1996. Her last book, Jews, Germans, and Allies: Close Encounters in Occupied Germany (2009), focused on the fate of those Jews who were repatriated to Poland after the war and pushed by renewed antisemitism to flee yet again, as “displaced persons” to the American zone of Germany. "I never intended to write about Central Asia or the Soviet Union. I have no expertise in those areas or languages. I am trained in German history. But once I realized that most of those survivors had a wartime past quite different from one I had imagined, I became fascinated both with their incredibly complicated trajectories and with why we – even I, as a historian of the Holocaust -- didn't know their story." During her investigation into that history Prof. Grossmann made a surprising personal discovery. Her research led her to the archives of the American Jewish Joint Distribution Committee, known as the Joint, a relief agency established after the First World War that continues to this day. During the war they provided critical supplies to Jewish refugees to use or barter with on the black market. "The Joint was not able to work directly in Nazi-Occupied Europe or in Stalin’s Soviet Union so the agency set up this amazing relief operation based in Tehran, a very interesting multi-national, multi-cultural space during the war. 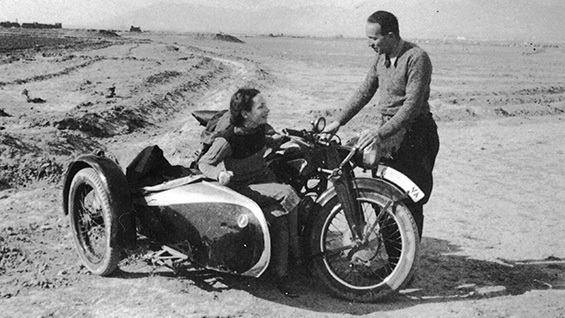 And I was surprised and intrigued because, as it happened, my parents were also in Iran at the time," says Prof. Grossmann, the daughter of German Jewish refugees who escaped Berlin prior to 1938. "For me these had been completely separate stories." Prof. Grossmann grew up on Manhattan's Upper West Side surrounded by Persian rugs and an ornate Koran on the coffee table. Her parents spoke Farsi when they didn't want her to understand them. "Until I was at least sixteen I was convinced that ‘Inshallah’ was a German word,” she says. Her personal discovery has shaped her approach to her latest project. "Having discovered this unexpected connection, I decided that I really wanted to write about the transnational experiences of Jewish refugees from Nazi Europe. And I want to do something that historians don't generally do, which is to take my family story and to incorporate that into the larger historical narrative. Something I am calling a hybrid history." Of her time as a Davis fellow, a residency which does not require any teaching, Prof. Grossmann says, "The first thing that I am really looking forward to is having time to read and think through the framework for the book. The next thing to do is go through my massive amounts of material. And then I need to excavate my basement, which is filled with my parents’ papers and memorabilia, material which includes an almost daily correspondence between my mother and father from 1942 to 1946 when she was still in Tehran and he was detained as an “enemy alien” in British India, first in internment camps in the Himalayas and then in Bombay. I want to track what they are writing about to each other versus what is happening on the wartime geopolitical stage. So besides the methodological and research challenges of writing this kind of 'hybrid' integrated family and global history, I am also going to have to deal with a lot of personal emotional stuff."